A Word About Setting and Its Influence on the Story — And a Chance to win a FREE e-copy of TRUE blue! TRUE blue is the third installment of my mystery/suspense series based on a Chicago cop family, the DeLucas. So why, you might ask, is there a picture of a mountain lake and a waterfall on the cover? Good question. Yes, two thirds of the story in TRUE blue does take place in the streets of Chicago. Chicago is a fascinating city compiled of seventy-seven different neighborhoods that house the poorest of the poor to the richest of the rich and every socioeconomic class in between. Diversity is Chicago’s middle name. The streets are bustling with commerce, culture, and unfortunately in many instances, crime. Given all that, what better place to set a mystery/suspense novel? From the often serene beauty of Lake Michigan and the famous Chicago skyline to the tired apartment complexes of the inner city, Chicago is ripe for stories of personal triumph and despair. UPDATE: We have a winner in TRUE blue‘s Name that Picture on the Cover Contest! Congratulations, Cindy Erexson. 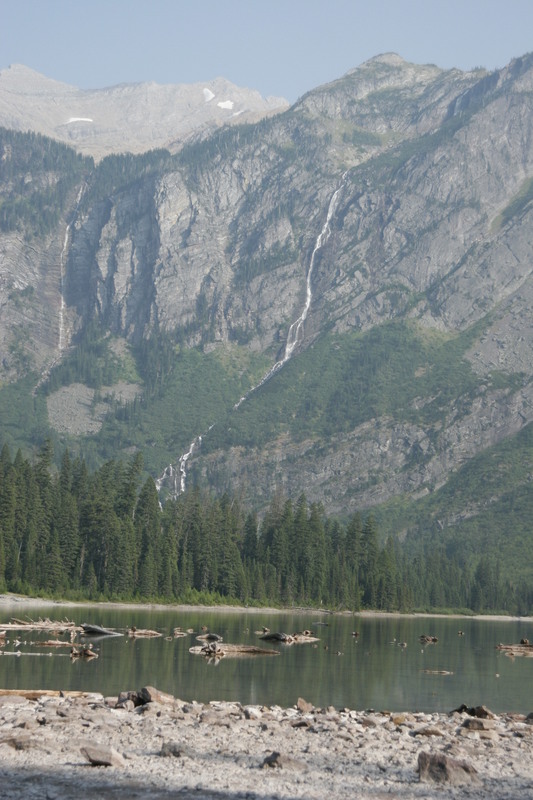 You correctly identified the scene as Glacier National Park and have won a free download of TRUE blue. Only eleven days and counting until TRUE blue‘s release. And yes, although the main characters are Chicago Cops, somewhere along the way they have to leave the city and venture to Glacier. Although the book is intrigue and suspense, it was quite fun writing the majestic scenery into the book and sharing it with readers. If you would like to be one of the first to get a copy of TRUE blue, click HERE to pre-order it directly from MusaPublishing today! 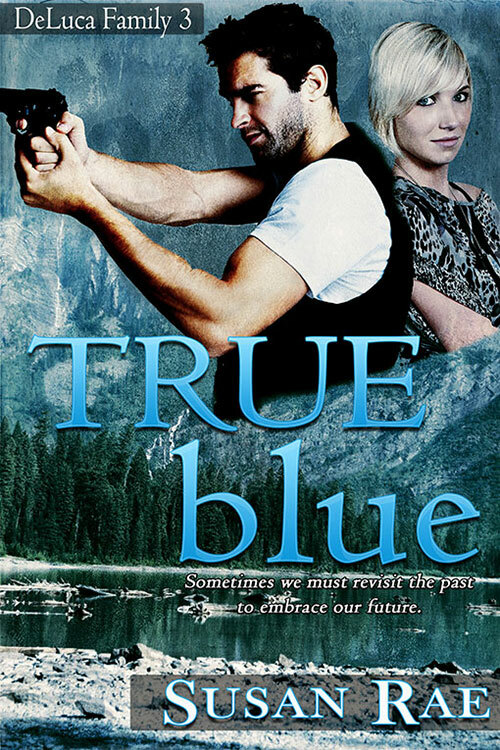 Only THREE WEEKS and counting until TRUE blue’s release… and we have a cover! I’m very excited about this one and in honor of its reveal, I am offering a FREE eBook copy of TRUE blue to the first person who leaves a comment on this post or on my Facebook page who correctly identifies where the background picture is taken. You get two guesses. That’s two chances to win! The inspiration for TRUE blue’s cover! When Lt. Detective Joey DeLuca’s childhood flame breezes into Chicago seeking answers to her father’s twenty-four year old murder, the situation heats up for Joey, his wife Andi, and the entire DeLuca clan. For an excerpt, click HERE! Enter to be the first one to get a copy of TRUE blue when it is released May 16th! Five Star Reviews for ICE blue! Great reviews continue to come in for ICE blue! To see more reviews, click HERE. The ICE blue Virtual Tour Has Begun! Guest blog posts and interviews with Susan Rae, excerpts and reviews of ICE blue, and Giveaways! 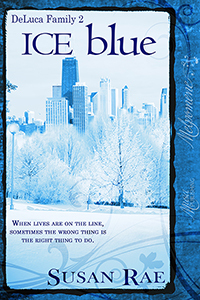 Click on one of the links below to follow along and see what the reviewers are saying about ICE blue. ICE blue–Passion as well as suspense–Here’s a tease. I hope you all had a great Easter. Now, after all that family time, you might want to indulge in a little pleasure reading. Here’s a tease from my new release. Enjoy! And, if you leave a comment at the end of this post, you’ll be automatically entered into my contest running through Friday, April 5th to win an ICE blue mug AND a free e-B00k of heartbeats or freefall. Your choice! Both received excellent reviews. She’d finished her glass and set it down on the table. “No, thank you. It’s getting late and I have to be up early. I’m taking on an extra shift tomorrow.” She slid her chair back. He stood and came around the table to help her. She tested her bearings as she rose. She knew her limits and she was definitely not drunk. If she was, she wouldn’t think twice about calling a cab. She’d seen far too often the results of drinking and driving. “Trust me, I’m fine.” She met his gaze straight on. 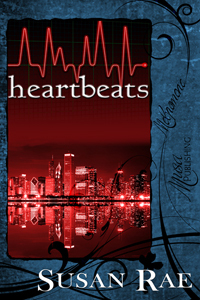 Recently I had the chance to interview Elizabeth and Drake from heartbeats for the Musa Publishing Blog. I donned my BahBahwahwah hat and this is what happened. Lot’s of tension between these two, to be sure! Enjoy! Elizabeth and Drake, thank you for coming to chat with us today. We don’t often get both the hero and heroine together for these chats. This should be fun. Can either one of you tell me why you think Susan Rae chose the two of you to represent her today? Elizabeth: I think she just felt that since it’s our story, we would be the best ones to present it. She chose both of us, I’m sure, because we come at it from different angles. You see, when the novel begins, it’s been six years since we have seen each other. We met once in college, and then briefly a few years later, but since then, we have both gone our separate ways. Drake: Briefly, Elizabeth? That’s how you’re describing it now? Do I detect some sarcasm there, Drake? Drake: Let’s just get on with it. Okay. Elizabeth, can you tell us a little about yourself? You’re a doctor, right? Did you always want to be a doctor? Elizabeth: Honestly? As long as I can remember. You see, I grew up on a farm about forty-five miles from here, in the far northwest suburbs of Chicago. Thinking back, I can’t remember a time when I didn’t dream about becoming a doctor. When I was little, my Barbie dolls didn’t wear clothes; they wore bandages and tourniquets. I was always pretending to try out the latest medical procedure on some poor, unsuspecting farm animal—with some very interesting results, as you can imagine. My parents didn’t have a lot of money, but I made it to the university on a scholarship. When my dad died of a heart attack while I was in med school, I decided to specialize in cardiology. That’s my passion, cardiology—both intervention and prevention. That, and of course, my daughter, Allison—the light of my life.